After growing a bit accustomed to palm trees and sandy beaches, the sight of snow was a bit shocking. Just weeks earlier we had felt the blowtorch-like heat of molten lava singe our cheeks. 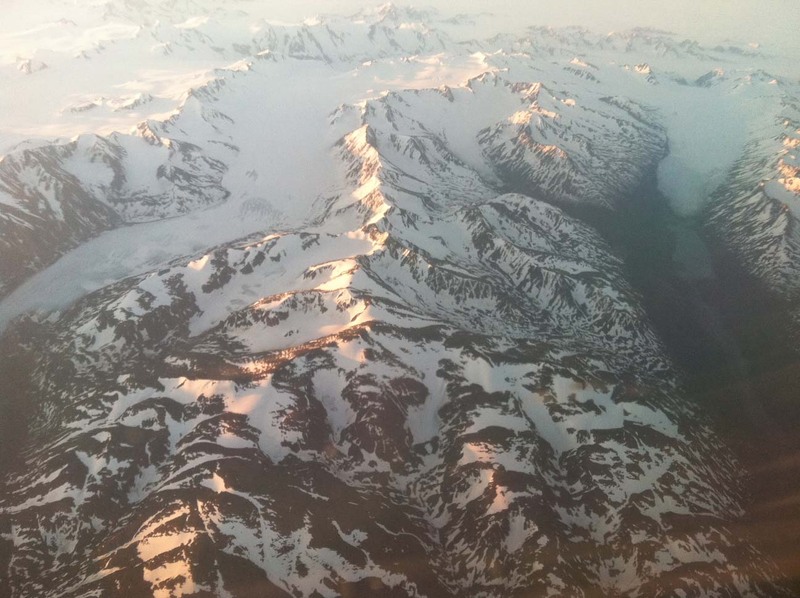 Now, we were gliding over endless miles of frozen tundra on our approach into Anchorage, Alaska. We knew that traveling here directly from Hawaii would offer a study in contrasts and, judging by the view from our airplane window, we weren’t going to be disappointed. Rarely does anyone actually live out (sort of) that Robert Frost poem, Fire and Ice. This is “climate shock”, instead of “culture shock”. Still there is beauty in both places, We’ll be happy to follow you into the North country. We did a family vacation, a cruise south through the In-Land Passage of the Alaska coast. Flying into Anchroage, I recall the views of the glaceries. They were even more spectacular from the water.